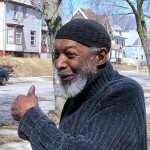 By creating community connections through timebanking, the Milwaukee Area Time Exchange helps to bring resources to people with disabilities and build community in distressed neighborhoods. Washington Park residents praised Habitat for Humanity for choosing their neighborhood as the first for its Neighborhood Revitalization Initiative, a new $20 million community-building strategy. Worried about what your children will do all summer while you are at work? A variety of all-day camps are available throughout the city. Despite the chill in the air, it’s not too soon to check them out. 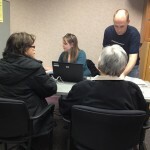 Helping low-income Milwaukee residents prepare their taxes for free, experienced volunteers from Northwestern Mutual set up a successful new site for the Social Development Commission’s Volunteer Income Tax Assistance program at the Sixteenth Community Health Center this year. Homeowners and investors in the Harrison Avenue Targeted Investment Neighborhood can apply for zero-interest home rehabilitation loans that are partially forgivable, but few have done so. 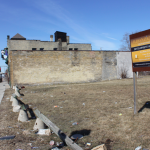 The city hopes that a consultant can breathe new life into the long-anticipated Bronzeville redevelopment project. 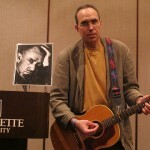 Attendees at “Scribe of a Social Conscience: Steinbeck plus 75,” a presentation by Paul McComas at the Marquette University Center for Peacemaking, reflected on the relevance of the author’s social message to present-day Milwaukee. With a new $1.5 million federal grant, Marquette University and the United Community Center are improving their health and wellness programming at Bruce-Guadalupe Community School. 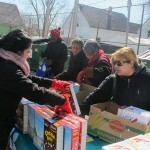 The need for health services and food is great in Clarke Square. 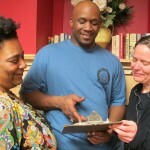 Clarke Square Neighborhood Initiative and Molina Health Care recently partnered to address both problems. 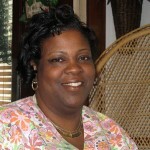 Tanyialisa McDowell is the first homeowner in Borchert Field to be granted a loan under the Targeted Investment Neighborhood (TIN) program. The city awarded TIN status to the neighborhood one year ago.